Pluto ransomware appears to be a dangerous cyber threat which was discovered by a cybersecurity researcher named Michael Gillespie. Such viruses easily succeed in infiltration by traveling through infected email messages and their hazardous attachments. After secret installation, Pluto virus forms and injects dubious entries into the Windows Registry section. These components allow the cyber threat to perform its cruel activities such as data encryption. The virus locks up all files that are found on the targeted computer and turns them inaccessible. Furthermore, after the successful encryption, the .pluto extension ransomware drops a note which is named “!!!READ_IT!!!.txt”. Here the crooks urge sending the ID number and contacting them via getmydata@india.com and mydataback@aol.com email addresses. !!! ATTENTION, YOUR FILES WERE ENCRYPTED !!! 2.We can decrypt 1 not important file what would you make sure that we have decription tool! Do not try to cheat us, only not important file. 3.Then you'll get payment instruction and after payment you will get your decryption tool! Do not try to rename files!!! Only we can decrypt all your data! Even though there is no particular data on what kind of price should be paid, criminals are most likely to urge specific cryptocurrencies such as Bitcoin or Ethereum. Additionally, the amount often varies but mostly it is between $500 and $1000. Nevertheless, cyber crooks who spread Pluto ransomware threaten the victims that they are the only ones who can decrypt the locked files. Taking about the encryption keys that are used by Pluto ransomware crooks, these people often choose AES or RSA algorithms in order to perform the encryption on targeted files. Later on, both encryption and decryption keys are stored on remote servers and kept in reach only for the crooks themselves. However, this does not mean you have to pay the crooks and take the risk of getting scammed. Viruses such as Pluto ransomware can be capable of carrying out a big variety of features. For example, some dangerous threats can permanently damage or erase Shadow Volume Copies of encrypted files, others can disable the antivirus protection and make the system more vulnerable to other infections. Additionally, ransomware infections might also relate in the installation of other malware together. You need to remove Pluto ransomware in order to avoid all possible damaging consequences. However, we suggest taking care of the process with automatical computer software. First, detect the virus and all related components with Reimage or any other program. 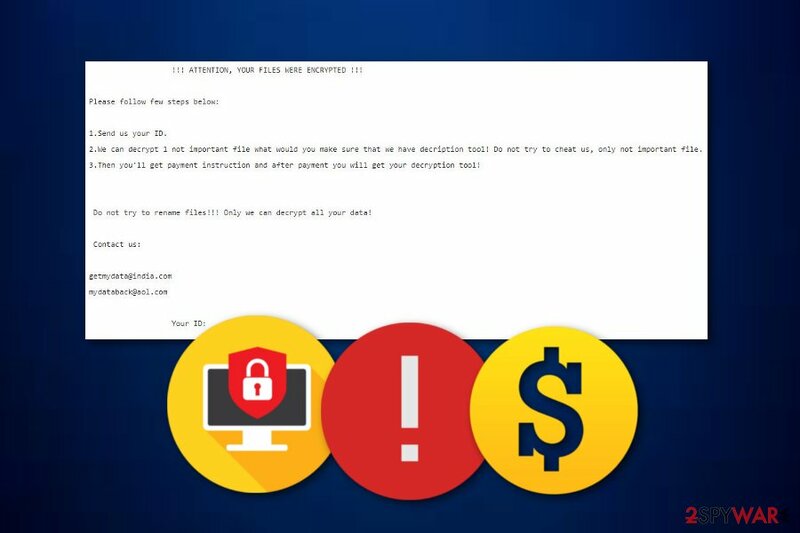 Manual elimination is not a possibility for this case as the ransomware virus might hide hazardous content in different locations which can be too hard to spot for a human eye. Additionally, Pluto ransomware removal is the best option if you want to perform some data recovery steps. You will not be able to do so if you do not terminate the dangerous cyber threat first. After the deletion, we recommend checking all data restoring measures that are provided below this article. Later on, make sure that you store all important information on remote servers or devices to keep it out of reach for random people, including, cybercriminals. P2P networks. Free torrent downloading sources are not protected properly, and because of that, cybercriminals can easily inject harmful payload straight into some objects. Email spam and attachments. Mostly, infected executables or hyperlinks are one of the most popular sources from which ransomware viruses come. Third-party program installers. In some cases, you might install a program together with a dangerous infection such as ransomware if you are using secondary downloading sources. Other malicious websites. You can catch a ransomware infection on an unsafe web page. Here malware also usually is injected into dubious links. In order to avoid ransomware infections and all the negative consequences that these cyber threats bring, you should carefully open your emails and files that are attached to them. Always investigate the sender's address. Moreover, if you are a frequent surfer, you should pay big attention to every website you are visiting, do not enter any suspicious looking links. Additionally, use only original installers for your programs and do not miss any important step while performing downloads. 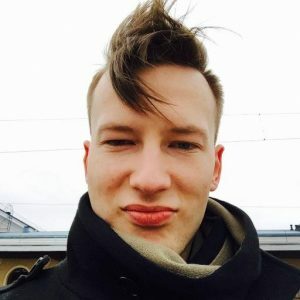 If you have overcome the ransomware virus on your computer system, you should take actions to get rid of the cyber threat automatically. Note that other methods are not suited for this case, so, you should remove Pluto virus only with regular computer tools. However, first, try detecting all malicious content in the system with a tool such as Reimage, Malwarebytes MalwarebytesCombo Cleaner, or Plumbytes Anti-MalwareMalwarebytes Malwarebytes. Pluto ransomware removal is not an easy process to perform as it requires eliminating all malware-related components such as dubious registry entries, malicious executables, and other files. After the process is finished, make sure that you be extra careful in the future and take needed actions to protect all valuable information from similar incidents. Log in to your infected account and start the browser. Download Reimage or other legitimate anti-spyware program. Update it before a full system scan and remove malicious files that belong to your ransomware and complete Pluto removal. When a new window shows up, click Next and select your restore point that is prior the infiltration of Pluto. After doing that, click Next. Once you restore your system to a previous date, download and scan your computer with Reimage and make sure that Pluto removal is performed successfully. Guide which is presented above is supposed to help you remove Pluto from your computer. To recover your encrypted files, we recommend using a detailed guide prepared by 2-spyware.com security experts. If you have spot files with the .pluto extension, you can recover some of your data by trying out these file restoring techniques that we have provided below. Try this method if you are keen on recovering some of your valuable files which were encrypted by the dangerous and notorious ransomware virus – Pluto. Try using this method for unlocking your files. Note that this technique works only under one feature – the system restore feature should have been launched in the past. If the virus did not eliminate Shadow Volume Copies of your files, this tool might be very helpful. No original Pluto ransomware decryptor has been released yet. ^ Virusler.info.tr. Virusler.info.tr. Spyware news. ^ Email Spam. Marketing terms. Dictionary. ^ Margaret Rouse. Ransomware. Search Security. Tech Target. This entry was posted on 2019-02-11 at 08:08 and is filed under Ransomware, Viruses. You can quickly scan the QR code with your mobile device and have Pluto ransomware manual removal instructions right in your pocket. How did you remove Pluto virus?